Piers Morgan isn’t exactly known for showing tact when it comes to the more sensitive issues, with his derisive style of interviewing landing him in hot water on more than one occasion. He has now awoken the wrath of a former Kardashian member after insulting Caitlyn Jenner during his interview/interrogation show Piers Morgan’s Life Stories. The 52-year-old journalist angered Caitlyn by making personal remarks about her body – even brandishing a doll depicting her while she was still known to the world as Bruce Jenner. Needless to say, the 68-year-old was not happy with how her position as a transgender woman was being discussed, and gave Piers a piece of her mind. You were an all-American, 6ft 2in muscle-bound guy. When you look at that guy what do you think? Good for him. There is a lot more to this story than just that. It was a fair answer to a fair question, and for a moment it seemed the audience were about to witness a cordial conversation between the unlikely pair. But of course, hell was not about to freeze over. How does your physique compare now to what it did then? Obviously, certain areas we know about. Oh dear Piers. ‘Certain areas’, really? You made a comment there and that’s why you would get in trouble, OK? You said ‘certain areas’ – that, to a trans-person, is disrespectful. Matters didn’t exactly improve when Piers stubbornly defended his right to make the comment, all the while holding a small doll of Caitlyn as an athlete before her transition took place. It’s not funny. It’s life. It’s a very serious part of my life. I take that very seriously and so out of respect to myself and the community, it’s not something that you joke about. This is serious stuff. People die over these issues. It’s not a joke. 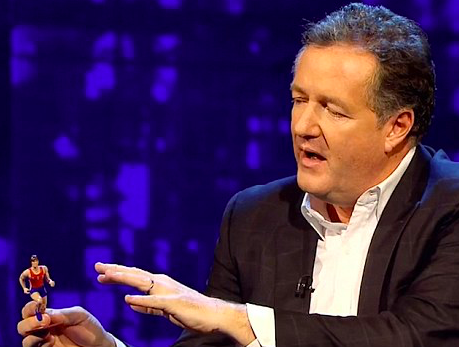 As he has done with other interviewees, Piers had the relative humility to back down and admit to having learnt something: ‘Its genuinely educational. It is. It is a complex issue’. Luckily the pair got on much more amicably as the show went on, with Caitlyn opening up about her feud with ex wife Kris and her stepdaughters Kim, Courtney and Khloe. Here she admitted how they just ‘don’t communicate like we used to’, adding ‘it hurts but it’s not the end of the world’. The only ones I’m really concerned about are Kendall and Kylie, yeah they are biological kids. Although the Kardashians, I spent 23 years of my life carpooling those kids around, raising them, taking care of them. Airing on Thursday, my first ever Life Stories show with a transgender celebrity, @Caitlyn_Jenner. And what a life story it is! From male Olympic champion to Kardashian dad, to trans woman. 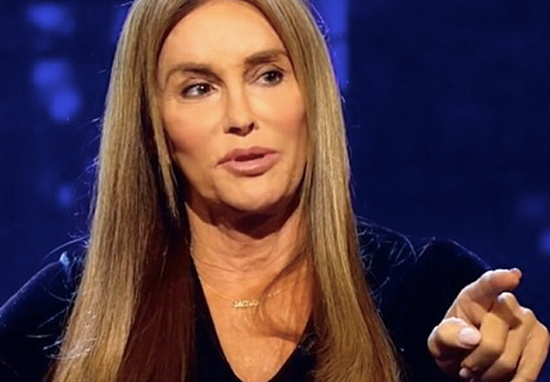 Piers Morgan’s Life Stories: Caitlyn Jenner will air on Thursday 4 January at 9pm on ITV.